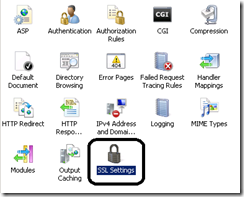 Setting up SharePoint 2010 Search Service is easy…. if you are running a plain vanilla web application. But, if you are running a more sophisticated setup of SharePoint, you may be in for a rough ride. In our case, we have a complex setup where we have multiple SharePoint web applications running on a single IIS server, each using HTTPS protocol and host headers. 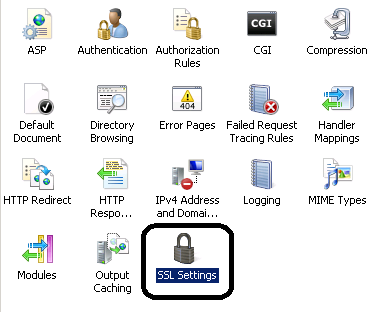 Set a crawl rule for https://*.myurl.com with support for basic authentication enabled and the search user/password entered. 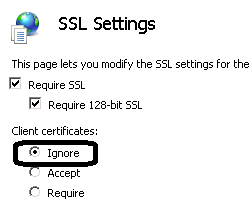 NOTE: This is required to allow the search service to logon to the web application. And then we executed a full crawl…. after some digging around, it appears SharePoint search is accessing the web application through a middle layer (the sts4s part). As we are using Host Headers and basic authentication, the sts4s protocol appears to be ignored by IIS. We know the crawl worked as we had thousands of Searchable items listed in the search server. To make the situation even more confusing, the Recent query rate showed the exact number of test queries we had executed. Create new Server Name Mappings for each URL. This entry was posted in SharePoint on August 23, 2010 by ArmgaSys. Android 2.2 (FROYO) and Exchange connectivity issues. At AIS, many of the development staff have become addicted to the Android based phone and their easy to configure and use MS Exchange active sync integration. So when Verizon performed an OTA push of 2.2 (FROYO FRG01B) and all upgraded phones suddenly stopped synced with our Exchange server, moribund panic ensued. All in all, a plain vanilla Exchange setup. If you have never used Microsoft’s Exchange Remote Connectivity Tool, you really need to spend some time and check it out! This tool is a massive timesaver. Firing up the Exchange Connectivity test website, we selected and performed the Exchange ActiveSync test. Accept/Require client certificates were found. Set the IIS configuration to Ignore Client Certificates if you aren’t using this type of authentication. After some research into the settings for all of the virtual directories installed as part of MS Exchange, we discovered the virtual directory Microsoft-Server-ActiveSync was set to “Accept”. 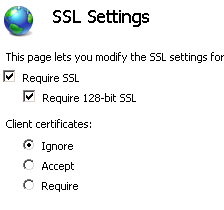 It appears Microsoft’s default install of the ActiveSync end point defaults to “Accept”. With the new FRG01B build, the Android Exchange implementation does not play nicely with Client Certificates. Nice! Reset your Mail profile on your handset. This entry was posted in Android, Exchange on August 19, 2010 by ArmgaSys.